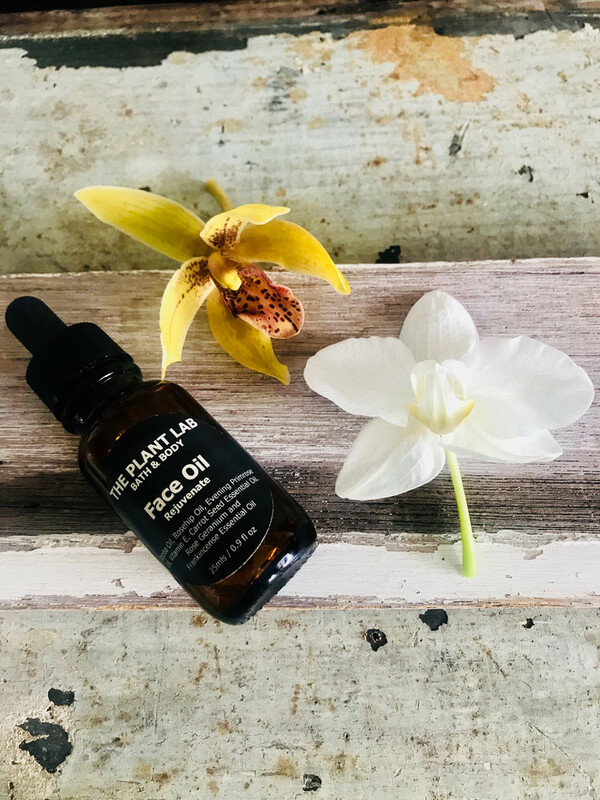 Face Oil 'Rejuvenate' All-Natural Plant-Based. Vegan. Glowy Skin. It is blended using Jojoba oil, rosehip oil, evening primrose and pure essential oils of carrot seed, rose geranium and frankincense. - Known for its rich antioxidant properties it is said to stimulate the growth of new skin cells. 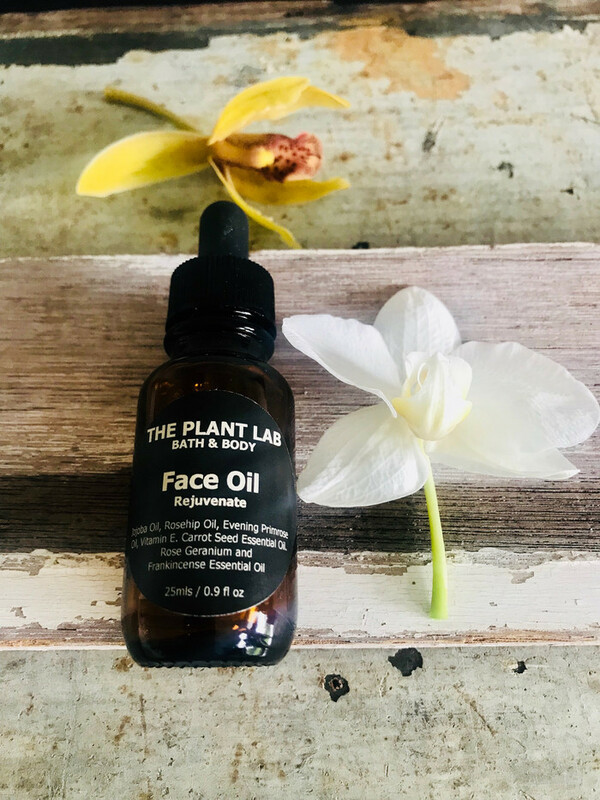 Full Ingredients: Jojoba oil, rose hip oil, evening primrose oil, vitamin E.
Pure essential oils of carrot seed oil, rose geranium and Frankincense.